It would have been hard to imagine a few years earlier that Babe Ruth, the brash young pitcher from the Boston Red Sox, would be anything but another baseball flash in the pan. His appetite for women, food and booze were legendary and although he was looked at as one of the best pitchers in the game, the deadball era was filled with great talents that exploded on the scene and fizzled out quickly. 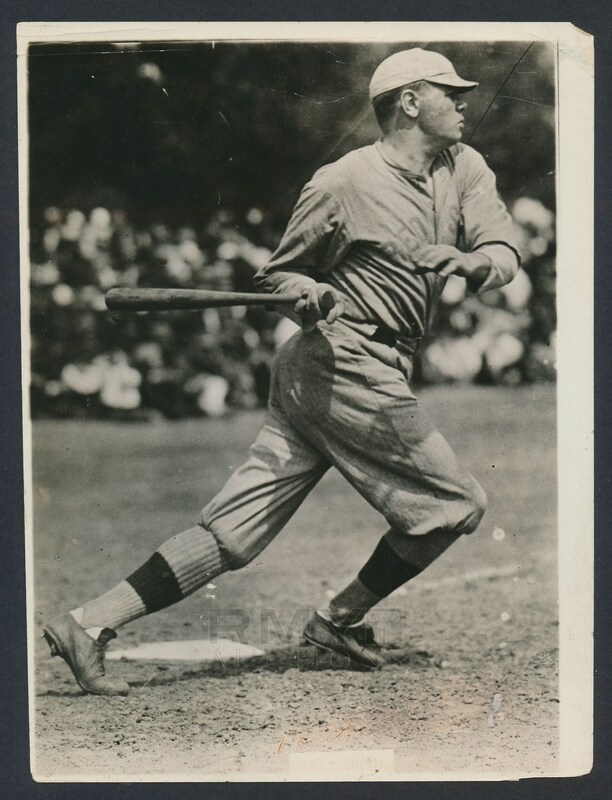 Ruth started to show promise with the bat though, making him more than just an ordinary pitcher of the era and by 1917 he was one of the most feared sluggers in the game as well making his future a little brighter despite his demons that still haunted him. When this picture was taken during Spring Training 1918, it was becoming clear that he was being underutilized by only hitting on the days he pitched and he would find himself playing some outfield too. He would win his first home run title by the end of the season with a whopping 11 round trippers and although he was a bona fide star, nobody could have predicted that he would transform the game and the entire world in the process! Nobody was a bigger star than Ruth and he was a household name all over the globe. His feats are legendary and his personality bigger than life, but before all that, he was a pitcher and part time outfielder for the Boston Red Sox! 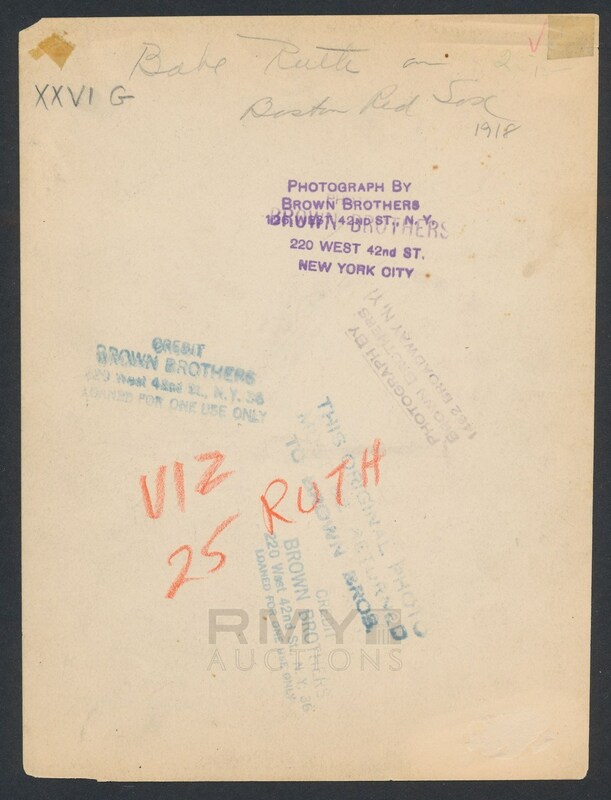 The offered photograph from Brown Brothers of New York (the first stock photo service) is stamped on the back and is completely vintage to 1918. The image is a bold silver gelatin image which presents in fine condition for the age overall with some light wear and a few spots of corner chipping. One of the most iconic images of Ruth ever taken, he is permanently captured here in suspended animation busting out of the box and about to drop the bat after slamming one to right field. While it is not known the exact date or location, the setting appears to be Spring Training in Hot Springs, Arkansas. One of the most important early images we have offered, this is a piece of baseball history that is sure to excite even the most advanced collectors!